How do you measure carbon dioxide emissions? How do countries measure their carbon dioxide emissions? Gregg - Actually, I think there's a misconception that CO2 emissions are measured. What you try to do is to measure how much fuel is burned and if you know how much carbon is in the fuel, you can calculate how much CO2 must be produced, and very seldom is that, in fact, measured. 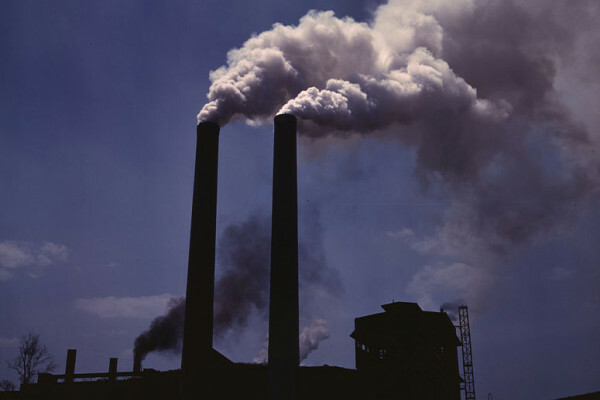 Although there are some large power plants in which they actually put measurement devices in the smoke stack and can measure the amount of CO2 that comes out, that is unusual. The Intergovernmental Panel on Climate Change has published a five-volume set of guidelines that all the countries now use, as part of the UN Framework Convention on climate change, for estimating emissions on all greenhouse gases and it does produce uniformity across countries. The error margin depends on the country and on the greenhouse gas. I think the interest is partly in carbon dioxide emitted from energy systems, and in that case, it really depends on how much a country invests in collecting energy statistics. For countries like those in the EU or the US or Japan, my guess is that the error margin is something in the order of plus or minus 5%. For those discharging smaller quantities of CO2, the error bars, I think can be as high as 20 to 25% and there are some very large countries - in China, we've actually published the estimate that they are maybe as large as 15 or 20%. Diana - And Gregg also said that a major problem countries face in adding up their CO2 emissions is where to charge them if the fuel is bought in one country, but burned in another. So, if you board a plane in the UK bound for the USA and the fuel has been bought in the UK, but it's expended over the Atlantic, whom do you charge the CO2 to? At the moment, the international convention is to charge the CO2 to no one and they estimate about 3.1% of global emissions don't appear in international accounts. And that's on the order of a billion tons of CO2. Previous Why is tinnitus related to age? Next What is the advantage of a cochlear implant? I don't believe that any government anywhere had established a credible way of measurement. And that the taxes that they have forced on us are pure revenue tools. It's a safe bet that all the monies have gone to pet projects and friends. Without the two major world emitters on board ( China and India ) all the plans and schemes in the world mean nothing. Besides one volcanic eruption anywhere in world will negate all these measures anyway. Climate change and global warming is real but there is no way to win against it. But keep being duped by the environmental gurus and still pay the carbon taxes. Amazing how environmentalists can scare so many and bleed the working class to death with no conscience whatsoever. If there its any justice. Maybe some of them will be killed when the volcano erupts. Ha.